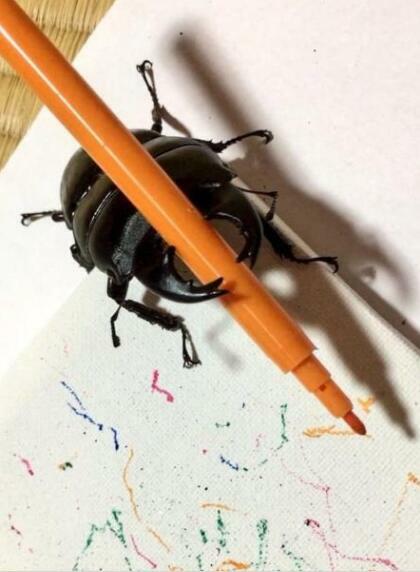 A talented beetle named Spike is drawing attention with his mini masterpieces. 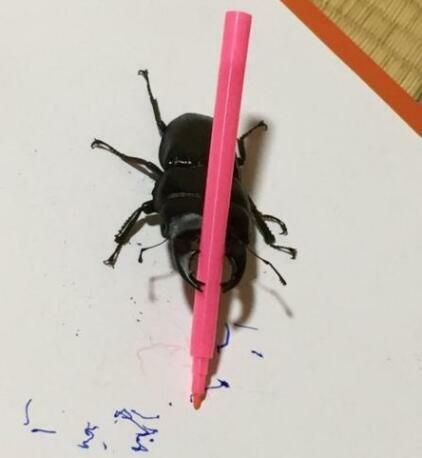 Spike, who lives in Japan's Nagano prefecture with his human a teacher named Mandy Bryant, is a stag beetle. 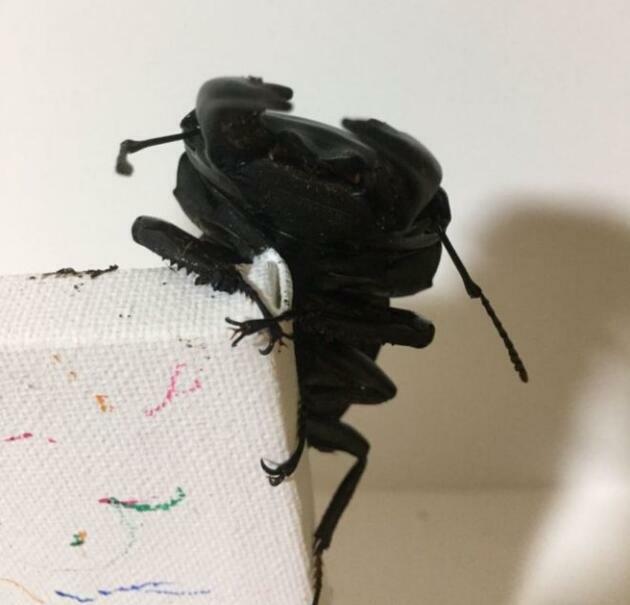 Found in many parts of Asia, stag beetles are listed as a globally threatened species. Spike is "sweet and curious," Ms Bryant told the BBC. "He is very special. For a little bug, he has a lot of personality," she said. Spike shot to internet fame after photos of his artwork went viral on Twitter. "I was taking silly pictures of Spike to show my friends," Ms Bryant said. "He jerked a marker around on paper when I gave it to him. Thinking it was funny, I posted those pictures and they exploded overnight." Armed with coloured markers, Spike was able to draw miniature paintings using splashes of colour he created while moving around on an easel. 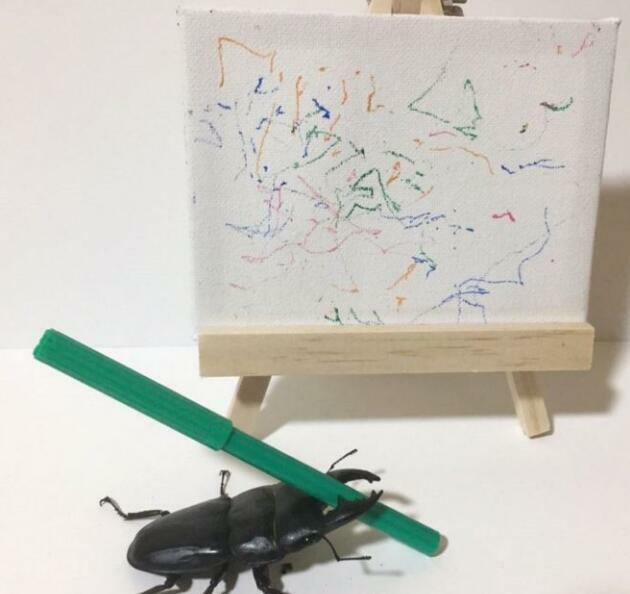 Spike's little paintings have thrilled many online and attracted a growing fan base. Ms Bryant has since decided to auction them off on Ebay, with bids reaching over $130 (£100). She added that 15% of proceeds would go to a UK-based conservation group for stag beetles. "Poaching of stag and rhinocerous beetles is a big issue. Some beetles may be wild-caught, which can deplete their numbers in that habitat," Ms Bryant advised. "If you are interested in raising them, look into what is legal and know where your beetle is coming from." 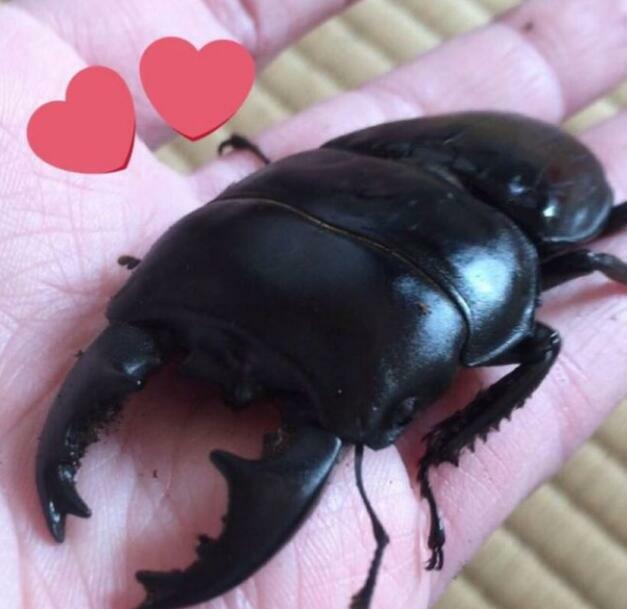 Stag beetles are popular pets among children in Japan. 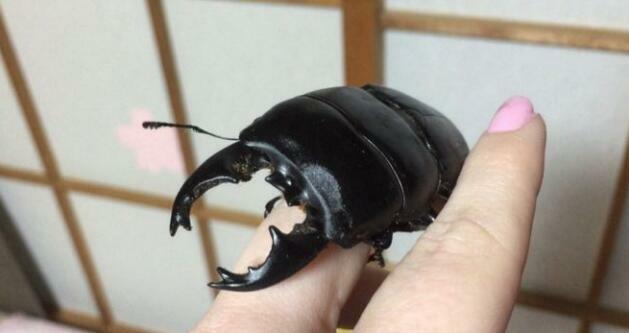 "Stag beetles are very low maintenance pets. With some jelly and a humid enclosure, they're happy to just trundle around and dig in the dirt," Ms Bryant says. Stag beetles are one of the strongest insects in the world. Identified by their massive antlers known as mandibles, the peculiar-looking creatures use them in courtship displays and to wrestle other beetles with. 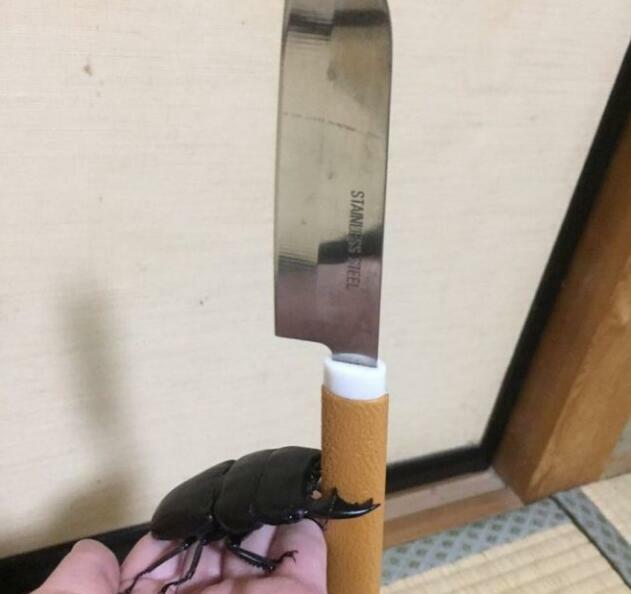 Spike often uses his to pick up household objects like this kitchen knife. The innovative insect is quite good at climbing walls and has also been known to help out with the cooking! 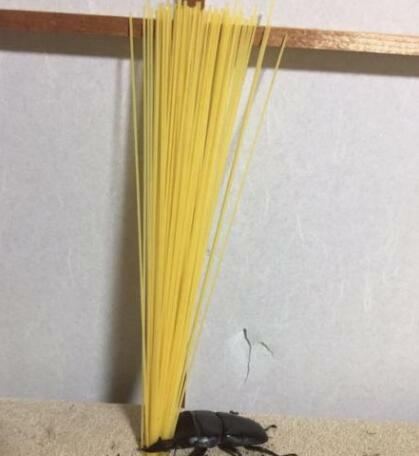 Here he is, grabbing hold of some dried spaghetti. Ms Bryant hopes that her little beetle's new fame will help people appreciate insects. "The amount of love for Spike (who is not the cuddliest looking guy) has been staggering and really incredible," she said. "I hope that people can start to see insects as any other part of the natural world: beautiful and fascinating. They really aren't as scary as you think."